Come See Our Exclusive Designer Eyewear! Eyeglasses and sunglasses are a prominent part of how you show your face to the world. 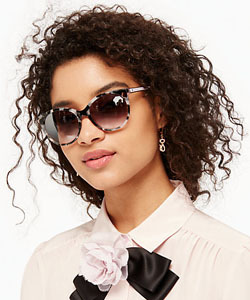 Worn as a contemporary fashion accessory, the right eyewear will give you crisp vision and upgrade your look. Whether your taste runs artsy, casual, elegant or understated, we have designer eyewear for you in our optical collection in Worthington, serving the greater Columbus, OH, region. Your eyeglasses need to be made from a high quality construction that holds up to the rigors of daily life. We stock only premium brands, with the designer labels and fashion lines that you know and love! Our contemporary selection includes the latest styles from trending European, American and Asian designers – in a rainbow of colors, shapes and materials. Nowadays, you can choose eyeglasses with bold geometry, bright patterned plastics, classic titanium and rimless designs. Embellishments include vintage inlays, glitzy gemstones, split temples and more! Bring your current prescription and tell us your preferences, and our Worthington optical staff will help you to select the perfect pair of frames. We are proud to stock a full display of award-winning Lindberg frames. This exclusive line of designer eyewear boasts superior engineering, with materials such as acetate, gold, platinum, natural animal horn, diamonds and titanium. They are handcrafted to order, using cutting-edge technology and precise skill. 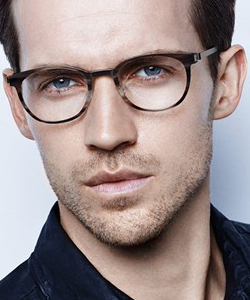 You’ll love the discreet Scandinavian style of Lindberg glasses – all streamlined with classic elegance. To grant you ultimate customer satisfaction and efficient service, we will customize your Lindberg frames right here in our Worthington optical boutique! In addition to Lindberg eyewear, we are proud to supply the Columbus, OH, region with many high-end designer brands, such as Seraphin, Etnia Barcelona, State Optical Co., Kate Spade, Banana Republic, and Maui Jim sunglasses. We’ll be pleased to show you around – stop in anytime to view our impressive optical collection at Lume Family Eyecare! Enjoy sleek and minimalist design? 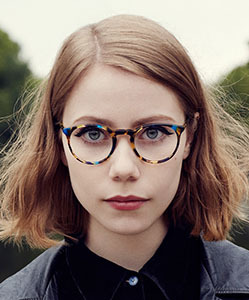 Check out these great frames from Lindberg. Lume Family Eyecare; Serving North Columbus, Worthington, Lewis Center, Powell, Dublin, Westerville & New Albany.